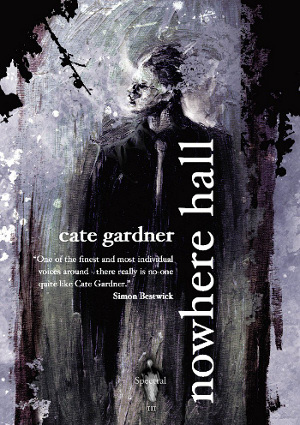 Cate’s Nowhere Hall competition: the winners! Remember last month I told you about the two splendiferous competitions that Cate Gardner, author of Spectral Volume III Nowhere Hall, was running in the wake of the chapbook selling out? The one where two lucky people could win either a personalised copy of #1 of the book or a year’s subscription to Spectral?Well, the contest is now closed, names have been drawn from the proverbial hat and we have a pair of winners! But if you want to know who they are then you’ll just have to jet over to Cate’s website – follow the link here.